By analysing the logs, we can identify which pages search engines like Google or Baidu scanned. We compare this data to the crawl in order to understand what search engines can access and what is available from your site’s structure. Log analysis help to better understand what search engines do on your website in order to provide advanced SEO recommendations that will help your pages to rank higher. In order to run a log analysis, we need to get the logs from your server so that we will have all the hits from bots and users for a specific period of time. 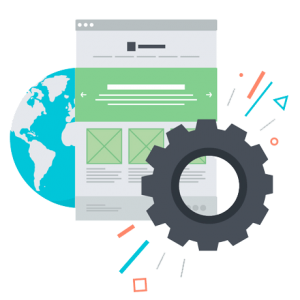 We will then crawl your website in order to understand what is currently available in terms of content as well as to get the site’s structure. Once we have these two data, we will merge them, create reports and issue recommendations about three main types of URLS. URLS known by search engines but out of the site’s structure. These URLS will not perform as they should. The goal is to put them back in the site's structure, if they are relevant, or to apply specific recommendations so that search engine stop crawling them. URLS that are in the structure but that search engines haven't crawled. Since these pages are unknown for search engines, they won't rank them. The goal is to understand why they don't crawl them and to make sure that they will do it after having identified solutions. URLS that search engines crawl and that are available in the site's structure. These pages will perform in terms of rankings. However, we can still identify if some of these pages are irrelevant so that we can block them in order to improve the crawling process. The log analysis will provide you advanced SEO recommendations that you can’t have if you just run a crawl. Additional files will be delivered to fix issues as well. We analyse the gaps between what search engine and users can access. We will improve the crawling process and it will boost your rankings. We will create SEO traffic on new landing pages. Get Clicks can provide on-off log analysis. In that case, we will need to get the logs from a specific period of time. We will use Screaming Frog Log Analyser to run the survey. We can also run analysis on daily basis and we will mainly use Botify. Logs will have to be delivered on daily basis. This will fit large e-commerce websites. We scan your website to highlight the issues that prevent your pages to rank and we provide solution for each blocking point. We help you to make your site SEO-compliant by providing specifications while you are in the development stage.